Bulgarian Prime Minister and the Defence Minister Attended the Final Stage of the В-9 CJSE "Thracian Sword – 2018"
NOVO SELO, Bulgaria, (BulgarianMilitary.com) – Last week, on 26 October, the Special Operations Forces of the B-9 member states together with servicemen of U.S. aviation held the final stage of the multinational military exercise “Thracian Sword – 2018”, which this year took place at the military training range of Novo Selo. That day was set for VIP guests, who, in conclusion, highly evaluated the capabilities of the attendants, after watching their demonstrations, learned BulgarianMilitary.com. Among the high-ranking visitors at Novo Selo Training Area were Bulgarian Prime Minister Boyko Borisov, Defence Minister Krasimir Karakachanov, Chief of Defence General Andrey Botsev and the Chairperson of the Defence Committee General Konstantin Popov. They were joined by military attachés of the nine participating B-9 states, representatives of the local authorities of Sliven and the region, as well as reserve troops representatives, etc. Boyko Borisov also highly evaluated the teamwork and the good coordination of the B-9 Southeast Europe states’ Special Operations Forces. 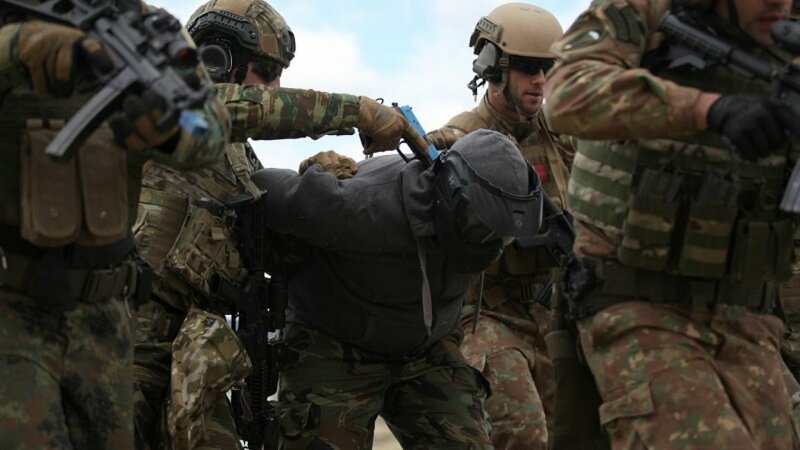 He revealed to the media at the event, that Special Operations Force Command is about to be set up, by pointing out that the process itself is related to law changes, which are expected to be introduced by the end of this year. The establishment will lead to an increase of the Special Operations Forces personnel and to the acquisition of better equipment in order to be achieved Command’s full operational capability. Bulgarian Prime Minister also said that the money once allocated to repair the Special Forces’ polygon near Tsrancha will be re-allocated as soon as the service is really ready to do this repair. In conclusion, the Commander of the 68th Special Forces Brigade, Brigadier General Yavor Mateev, who was responsible for the “Thracian Sword – 2018” planning, said that all the set goals in the drill were met, showing good coordination between the participants.